Wheat Flour, Water, Sugar, Soy Bean Oil, Milk Powder, Baking Powder (Sodium Acid Pyro Phosphate, Sodium Bicarbonate/Baking Soda, Corn Starch, Monocalcium Phosphate), Sodium Bicarbonate. 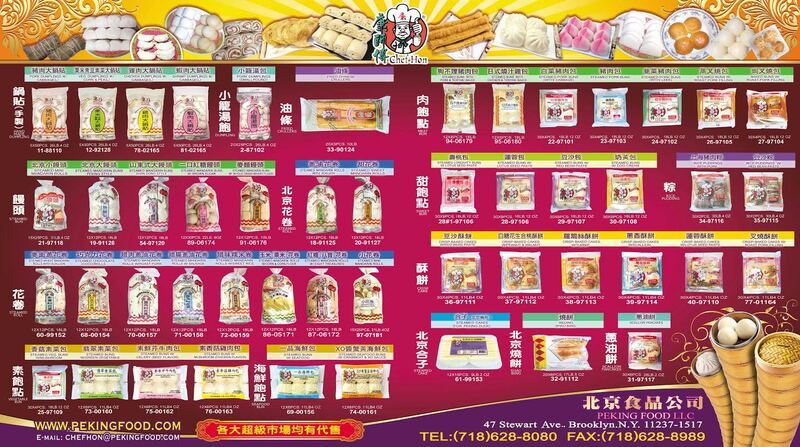 Shanghai Bock Choy, Whole Egg, Vermicelli, Sesame Seed Oil, Soy Sauce (Water, Soy Bean, Wheat, Salt, Sodium Benzoate Less Than 1/10 of 1% as Food Preservative), Chinese Mushroom, Carrot, Soy Bean Oil, Sugar, Salt, Monosodium Glutamate, Pepper. Contains Wheat, Milk, Soy & Egg Ingredients. 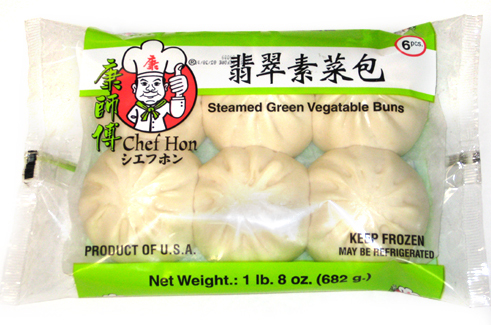 Remove buns from package. Place in steam cooker or rice-cooker. Bring water to boil and allow to steam for 15 minutes.